Warren picked the working-class city of Lawrence, Mass., for the kickoff Saturday, banking on a populist call to fight economic inequality that she hopes will distinguish her in a crowded Democratic field and help her move past the controversy surrounding her past claims to Native American heritage. The Massachusetts senator made the announcement at a mill site where largely immigrant factory workers went on strike about 100 years ago, providing the longtime consumer advocate a fitting forum to advance her platform of fighting economic inequality. “Today, millions and millions of American families are struggling to survive in a system that’s been rigged by the wealthy and the well connected,” she said. The 69-year-old was scheduled to later visit New Hampshire, home to the nation’s first primary, where Warren could have an advantage as a neighbouring-state resident with high name recognition. She intended to spend Sunday in Iowa, where the lead-off caucuses will be the first test of candidates’ viability. Warren is entering the race as one of the party’s most recognizable figures. The former Harvard law professor has spent the past decade in the national spotlight, first emerging as a consumer activist during the financial crisis. She later led the congressional panel that oversaw the 2008 financial industry bailout. After Republicans blocked her from running the Consumer Financial Protection Bureau, an agency she helped create, she ran for the Senate in 2012 and unseated a Republican incumbent. She has $11 million US left over from her commanding 2018 Senate re-election victory that can be used on her presidential run. More party support for Harris and Biden? A recent CNN poll found that fewer Democrats said they’d be very likely to support Warren if she runs than said the same of former vice-president Joe Biden — who is still undecided for a nomination bid—or senators Kamala Harris of California and Bernie Sanders of Vermont. Harris has joined the nomination race, while Sanders remains undecided. Still, about as many Democrats said in the poll that they’d be at least somewhat likely to support Warren as said the same of Harris or Sanders. The campaign launch comes at a challenging moment for Warren. 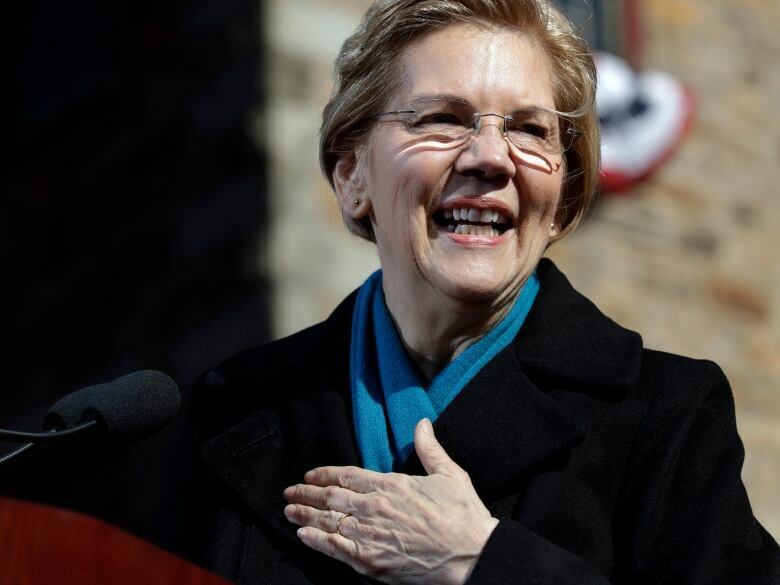 She has apologized twice over the past two weeks for claiming Native American identity on multiple occasions early in her career, an episode that has created fodder for Republicans and could overshadow her campaign. Doug Rubin, a Boston-based strategist who advised Warren during her first Senate run in 2012, said in an interview that most voters will respond to “the powerful message she’s been talking about,” in terms of battling social and economic injustices, rather than the back-and-forth over her personal identity. Another threat could come from Sanders. They’re both leaders of the Democrats’ liberal vanguard, but some Sanders supporters are still upset she didn’t support him during his 2016 primary challenge against Hillary Clinton. And as a senator from Vermont who won the New Hampshire primary, he would likely go into the Granite State as an early favorite if he decided to run again.